Parenting in a gentle manner can be difficult in our punitive society. Many parents haven’t learned the skills to interact with their children non-violently. Others lack the support to do so. Still others are out there, struggling to do what they think is right while trying to stay afloat. 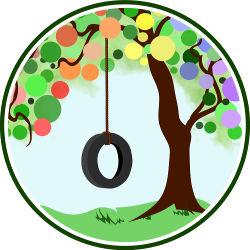 As such, I would like to take this opportunity to personally ask you to join Natural Parent Network volunteers as we share with you our Round Table Discussions. In 2015, we will be taking a long look at three different books. We encourage you to read with us. The pace will be slow. Just like you, we are busy parenting our own children, going to activities, working (whether WOH, WAH, or SAH), and dealing with the never ending laundry, dishes, and other miscellany of life. But if you can’t read the book along with us, feel free to read here, ask questions, and think about some of the issues raised. As we go through various sections of these books, there will be links to blog articles by Natural Parenting Network volunteers concerning the topics presented. They may be our thoughts on specific aspects of the subject, our personal experiences, novel ideas that help us and may help others, or things with which we struggle. Parenting can be hard, but we want you to know you aren’t alone. Do you find yourself wishing you were more empathic with your children? Are you looking to stop reacting in the moment? Are you wanting a better way to connect with your family? Do you want to grow as a parent and a person? Or are you just tired of dealing with the drama that seems to pop up in your home? Maybe you are looking for support from others trying to raise their children in a non-violent manner. Whatever your reasons, please join us. We ask only that you embrace the topics with an open mind and with a desire for growth. You can start the change you wish to see in your family. 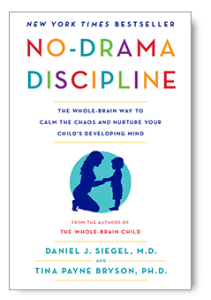 For our first discussions, we will be taking a look at No Drama Discipline by Daniel J. Siegel, M.D. and Tina Payne Bryson, Ph. D, authors of the book The Whole Brain Child. Request a copy from your local library or purchase your own copy today. Then check back here every two weeks for further discussions. This is such a great idea. I’m looking forward to the prospective discussions. This is such an important discussion to have. Thank you for putting this together. I look forward to being a part of it!